During the Great Meeting of 1767 at Long’s Barn, Martin Boehm was preaching inside the barn while another minister was preaching in the orchard outside. Somewhat in that tradition, we had two speakers each night, each of whom addressed an aspect of that night’s theme. He grew up in a United Brethren pastor’s home, the son of Bishop C. Ray and Elaine Miller. Denny graduated from Huntington University in 1976, from the HU Graduate School of Christian Ministries in 1978, and from Evangelical Seminary in 1983. He was ordained in 1978. 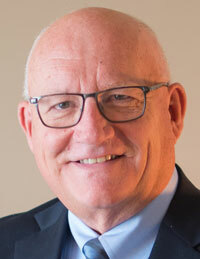 Denny’s pastoral experience started with nine years in Chambersburg, Pa.–two years as associate pastor of King Street Church, 1978-1980, followed by seven years as senior pastor of Mount Pleasant Church. Twice, he served at the National Office—1976-1978 as assistant editor of publications, and 1987-1989 as associate director of Church Services. He has served in many other roles, including the Executive Leadership Team, cluster leader, director of the cluster, and director of Pastoral Studies at Huntington University. He also wrote the Grow in the Word discipleship materials used by many United Brethren churches. He and his wife, Karin, have two grown children, Christy and Nate, both of whom live in the Fort Wayne area. Jody Bowser has been senior pastor of King Street Church in Chambersburg, Pa., since 2015. He began his ministry in 1989 with five years as youth pastor of a Baptist church in Visalia, Calif., followed by over ten years as Director of Student Ministries and Preaching Associate at The Chapel in Akron, Ohio. Before coming to King Street, he spent 12 years as senior pastor of Moses Lake Alliance Church in Moses Lake, Wash.
Dr. Bowser graduated from Judson College in 1985 with a degree in Human Relations. He received the Master of Divinity in 1989 from Fuller Theological Seminary, and a Doctor of Ministry in 2003 from Gordon-Conwell Theological Seminary. His doctoral preaching studies were done under Dr. Haddon Robinson. He and his wife, Caryn, have six children. Their oldest two are out of college and are working in the fields of video production and graphic design in the Carolinas. Their middle two are currently attending Christian colleges in Ohio and Pennsylvania, and their two youngest still live at home. Jody’s personal mission in life is that others will know and love Jesus more by having known and been loved by him. 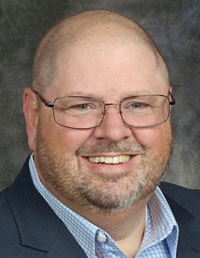 Jim Bolich is senior pastor of Prince Street UB church in Shippensburg, Pa. Originally from Allentown, Pa., Jim served 1995-2000 as associate pastor of Atlantic Avenue UB church (Franklin, Pa.), followed by three years as associate pastor of Mongul UB church (Shippensburg, Pa.). He became senior pastor of Prince Street in March 2002, and was ordained in 2004. 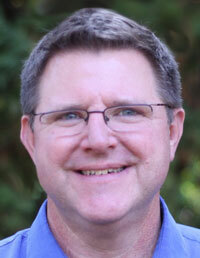 Jim also serves as a cluster leader, and as a member of the Pastoral Ministry Leadership Team. Jim holds degrees from Lehigh County Community College (Business Administration, 1987), Houghton College (1990, Music Education), and Evangelical Seminary (Master of Divinity, 2003). Jim and his wife, Janet, have two children. Son Jim attends Huntington University, and David is still at home. Arthur Wilson has worked at Huntington University since 2009, and currently serves as Dean of Spiritual Life and Campus Pastor. His key responsibilities include community worship and teaching, spiritual development and growth for students and staff, pastoral care, and leading campus ministries and outreach opportunities. As a member of the Senior Leadership Team, Wilson is involved in the University’s strategic and long-term planning. In 2004, Wilson graduated from Taylor University Fort Wayne in 2004 with degree in pastoral ministries. In 2012, he earned a Master of Arts degree in youth ministry leadership from Huntington University. Wilson formerly served as the City Life coordinator for Fort Wayne Area Youth for Christ. 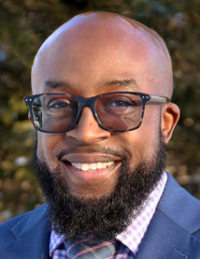 He joined the Huntington University staff in 2009 as director of the Horizon Leadership Program, a partnership between Huntington University and Youth for Christ USA with the goal of creating a more racially and ethnically diverse campus. He became Campus Pastor in 2011. Wilson and his wife, Shanon, have four children. Wilson also serves as an assistant coach for the track and field program, working primarily with sprinters. 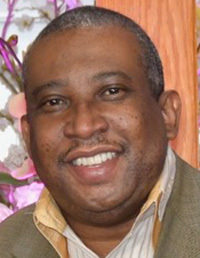 Dalton Jenkins is senior pastor of Bethel Temple of Praise in Yonkers, N.Y. Dalton founded this church in 2004. It consists primarily of immigrants from Jamaica. Dalton himself comes from Jamaica; he became a Christian at age nine in the Fleming Memorial UB church in Battersea. After moving to the States, he was involved in UB Jamaican church in the Bronx, and became its first youth leader. Dalton holds undergraduate degrees in Business Administration (1991) and Accounting (1994), a Master of Ministry and Master of Divinity from Andersonville Theological Seminary (2007 and 2008), and a Doctor of Ministry in Pastoral Care Counseling from New York Theological Seminar (2010). He was ordained in 2011. Dalton and his wife, Jacqueline, were married in 1992 and have two children, Jonathan and Justin. In addition to his pastoral duties, Dalton works as an accountant. He also serves on the Higher Education Leadership Team, and is cluster leader for the International cluster, which includes churches in New York, Pennsylvania, Massachusetts, and New Jersey. 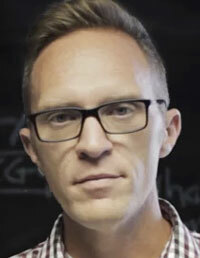 Andy Sikora is the lead pastor of Renew Communities in Berea, Ohio. He founded the church in 2011. Now, with close to 400 people in average worship attendance, Renew uses a non-traditional missional approach, finding creative ways to intersect with unbelievers throughout the week–in schools, homeless shelters, recreation centers, and other places. Andy graduated from Huntington University in 2001 with a degree in Youth Ministry, and in 2010 added a Masters in Ministry Leadership from Portland Seminary (part of George Fox University). He was youth pastor of a church in Fort Wayne, Ind., 2002-2005, and then he and his wife, Meriel, moved to Cleveland, Ohio, where he joined the staff of a large non-UB church. He continued serving there until 2011, when he left (with the church’s blessing and financial support) to start Renew Communities. Andy, his wife Meriel, were married in 2002. They have three children: Kenzie, Eva, and Archer. Andy currently serves on the Executive Leadership Team.